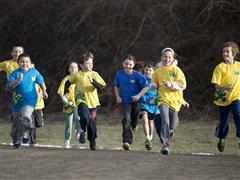 CANTON, Mass., Aug. 20, 2014 /PRNewswire-USNewswire/ -- Today, BOKS (Build Our Kids' Success), announces their partnership with the American Council on Exercise (ACE), the largest provider of health and fitness certifications accredited by the National Commission for Certifying Agencies (NCCA). Together, BOKS and the non-profit ACE created the BOKS Kids Fitness Certificate to help advance fitness and non-fitness professionals in successful implementation and expansion of the program. BOKS, an initiative of Reebok and The Reebok Foundation, is an award-winning free before-school physical activity program aimed to get children moving in the morning and their brains ready for a day of learning. The BOKS Kids Fitness Certificate was developed in cooperation with ACE, and meets ACE standards of science-based fitness information. Beginning in October, this new certificate offers BOKS trainers an opportunity to become nationally recognized for their hard work getting kids physically active, but does not replace the existing BOKS training that is offered for free to any Champion of Change who wants to bring the program to their school. Once the BOKS Kids Fitness Certificate is achieved and the BOKS Pledge is signed by an advocate dedicated to helping implement the program, the trainer becomes part of the BOKS community and receives access to a user friendly online platform designed to help them get up and running immediately. "This partnership and new certificate for BOKS helps us establish a national standard for those lead trainers who want to take their training to the next level," says Kathleen Tullie, BOKS Founder and Director of Social Responsibility at Reebok. "We are truly honored to be recognized professionally by the American Council on Exercise, and provide trainers with an opportunity to build a sense of pride and accomplishment for their hard work providing children with an active community on a daily basis." "Core to our mission at ACE is to empower parents, schools, health and fitness professionals and community leaders, to improve the health and well-being of children and adolescents through increased physical activity and improved nutrition," Cedric X. Bryant, Ph.D. FACSM and ACE's Chief Science Officer. "Promoting youth fitness in schools through physical education and activity has been more difficult in recent years due to an increasing number of budgetary constraints, but BOKS has been able to overcome this by bringing the program to more than 1,000 schools nationwide, and continues to grow because of its easy-to-implement structure. Consequently, this collaboration with BOKS is an ultimate win for schools, parents, and kids." Since its inception in 2009, BOKS has made significant strides to help youth embrace healthy habits that will last a lifetime. BOKS was started by Kathleen Tullie and a group of moms who were inspired by Dr. John Ratey's book Spark, which provides compelling evidence that physical activity will supercharge mental circuits to beat stress, sharpen thinking and enhance memory in kids. A recent NIOST (National Institute on Out-of-School Time) study conducted on behalf of BOKS validates the stance that exercise, especially before school, can have a positive impact on both classroom performance and behavior. Furthermore, 2013 NIOST results showed children improved significantly more than their peers on assessments of working memory. The BOKS team has shared the stage with First Lady Michelle Obama on two occasions to promote the benefits of being active and has forged important alliances with the following organizations: Let's Move Active Schools, ChildObesity180, Alliance for a Healthier Generation, Shape America and Partnership for Healthier America. 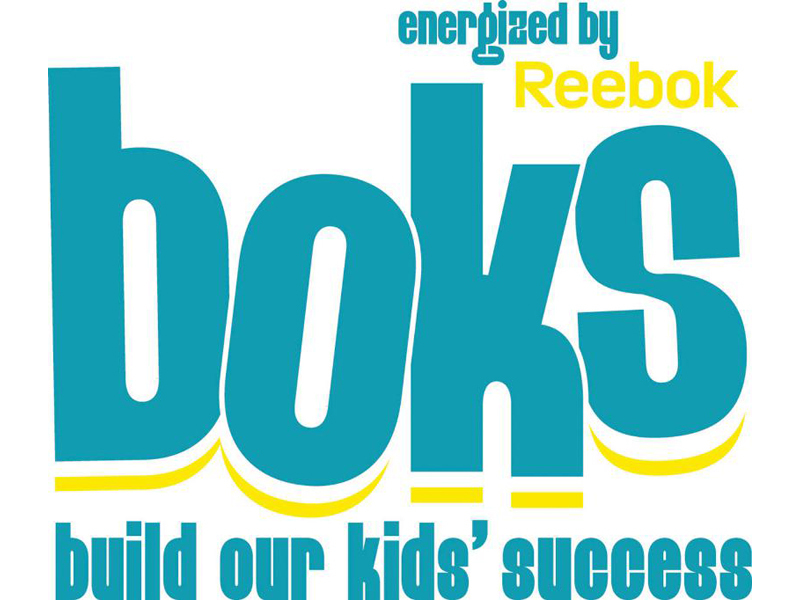 For more information about BOKS, www.bokskids.org​, the BOKS Facebook ​ page or the BOKS Twitter​ handle. BOKS, Build Our Kids' Success, an initiative of Reebok and the Reebok Foundation, is a free before-school physical activity program. BOKS was founded on the principle Active Kids = Active Minds, and was created by a group of moms after reading Dr. John Ratey's book Spark, which states that "exercise is the single most powerful tool that we have to optimize the function of our brains." The goal of the BOKS program is to enhance academic performance and the overall health of kids through physical activity. The program, run by moms, dads, P.E. teachers and all other types of volunteers in local communities, is simple to implement. BOKS is currently in more than 1,000 schools around the world. The nonprofit American Council on Exercise (ACE) educates, certifies, and speaks for a growing network of 53,000-plus fitness professionals, health coaches and other wellness experts, a community ACE is leading more directly into the fight against physical inactivity and obesity. ACE advocates for recognition of its profession as a provider of primary prevention and obesity-management services, and it makes available to the public science-based information and resources on safe and effective physical activity and general healthy living. Headquartered in San Diego, ACE is the largest provider of health and fitness certifications accredited by the National Commission for Certifying Agencies (NCCA), the gold standard in the United States for assessing professional competence, ensuring people have access to fitness, health and wellness professionals that are properly trained, qualified and capable. For more information, call (800) 825-3636 or visit ACEfitness.org​. American Council on Exercise​, ACE and ACE logos are Registered Trademarks of the American Council on Exercise.